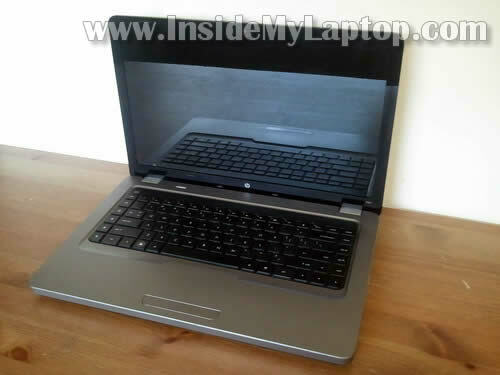 In this guide I explain how to take apart a HP Pavilion dv8 laptop. I’m taking it apart in order to replace failed DC jack. The LED light on the DC jack started flickering when adapter plug moved. I tested it with another known good AC adapter but it didn’t fix the problem. I assumed this is DC jack related failure and decided to replace it. 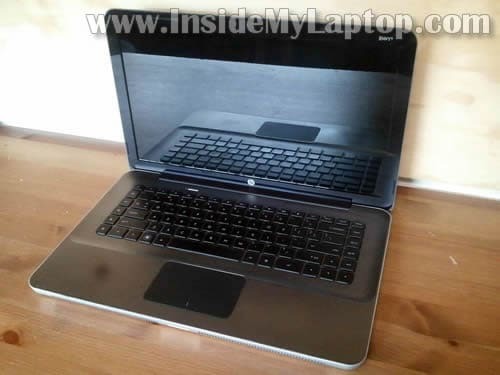 I believe that HP Pavilion dv8 have many different flavors. It’s possible that your model will be a little bit different but most disassembly steps should be very similar. 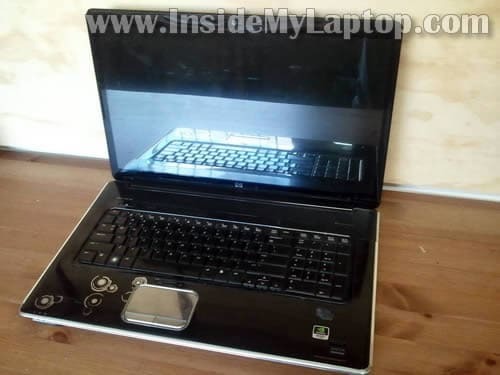 In this guide I explain how to disassemble a HP G62 or Compaq Presario CQ62 laptop. 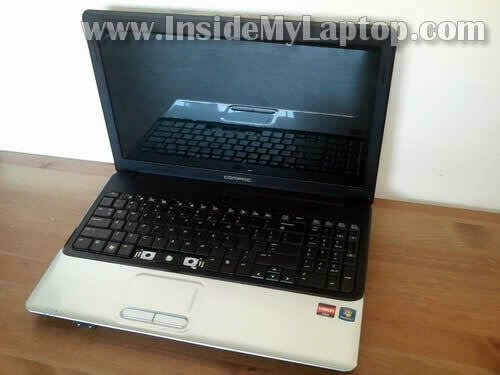 HP G62 and Compaq Presario CQ62 are very similar (if not completely identical). 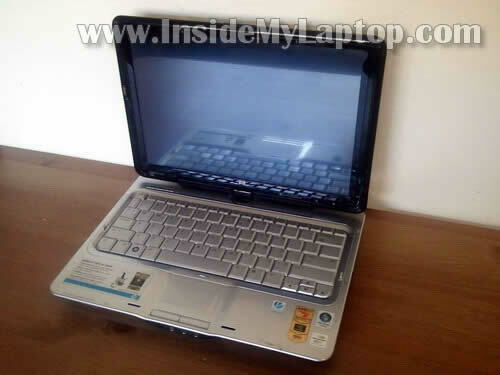 Today I show how to remove and replace damaged screen on HP Pavilion dv6 laptop. 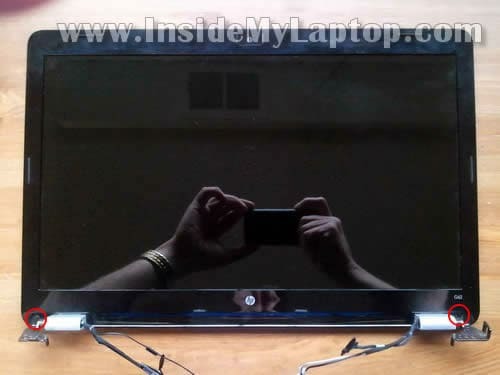 This guide also will help you to replace the display cable and hinges. 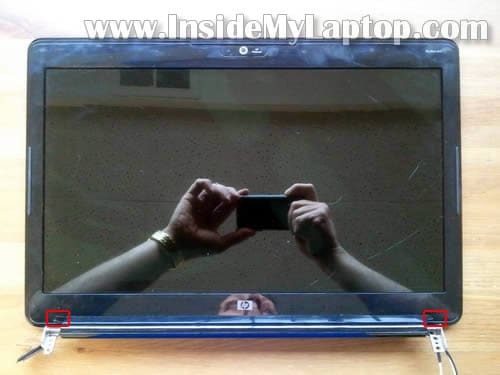 The display panel can be disassembled only when it’s separated from the laptop base. Follow steps 1-18 in my first disassembly guide. 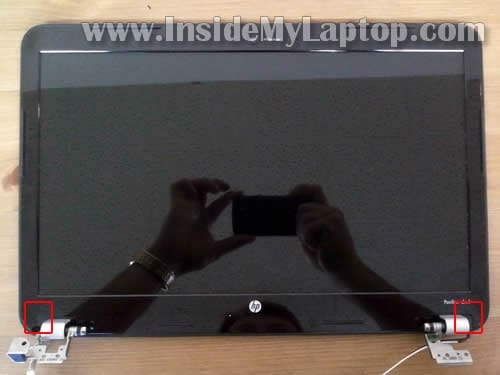 You’ll find two screw covers in the lower left and right corners of the display panel. 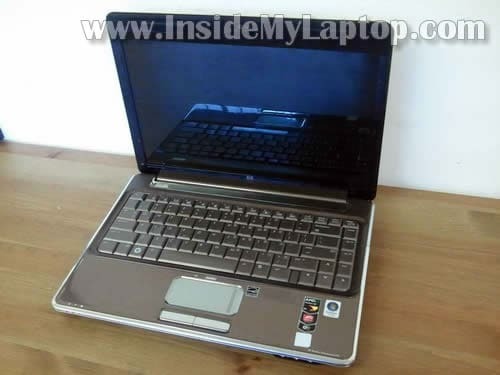 In this post I explain how to completely disassemble a HP Pavilion dv6 laptop. This guide will have two parts. 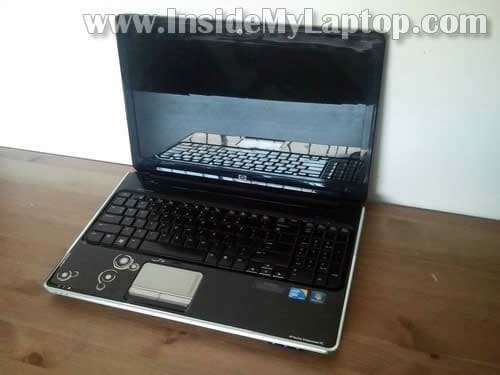 In the first part (this post) I show how to remove all main laptop parts. In the second part I’ll explain how to take apart the display assembly and remove the screen.